If you have an account with Bank of America, you can sign up for internet banking services which enable you to pay your bills, check your transaction history, transfer money to one or several accounts, apply to loans etc. The internet banking services are free and all that customers need to do is visit the bank’s website. Continue reading this guide to learn more about how to enroll for the internet banking services, how to log in and how to change your password in case you forgot. We’ll start with how to log in. 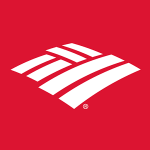 Bank of America is an international banking and financial services company based in Charlotte, North Carolina. It the second largest Bank in the United States, and one of world’s largest banks. The bank ranked No. 11 on Forbes Magazine Global 2000 list of the largest companies in the world. As of 31st December 2016, the bank had $886.1B in Assets under Management (AUM) and held 10.73% of all bank deposits in the U.S. Bank of America provides its financial services and products through 4,600 retail financial centers, about 15,900 ATMs, call centers and online banking and mobile banking platforms. Bank of America was founded in 1904, which means that it has a wide experienced in the banking industry. However, before you open an account with the bank, it is important that you consider the benefits and downside of the financial giant. The bank is everywhere, and offers many free and convenient account services. 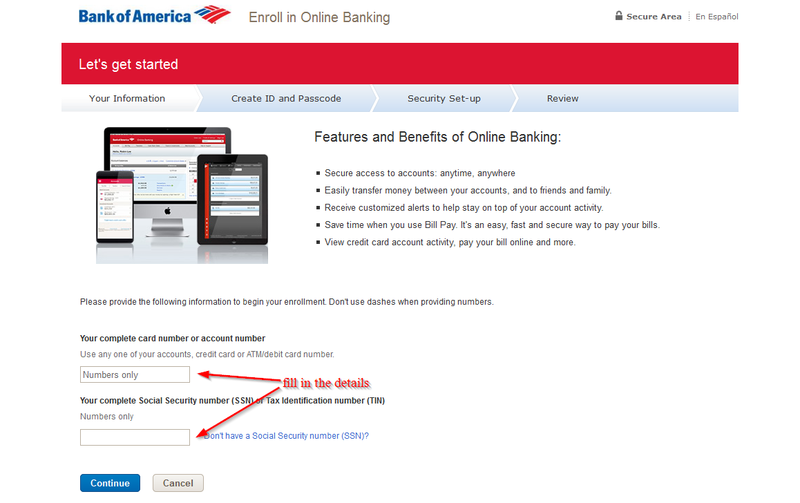 Accessibility: This is basically one of the main advantages of Bank of America-it’s available everywhere. When you open an account with the bank, you can be sure that you will be able to find a branch that is near you, since Bank of America has locations in every state. And since the bank’s ATMs are legion, you are less likely to pay ATM fees. Automatic savings: The “keep change program” is convenient as it rounds up every year debit card purchase to the nearest dollar and saves the rounded amount in your Bank of America savings account. It is however important to be aware that the bank charges a monthly fees for checking and savings accounts, which ranges from $5 to $25. You can avoid the fees with some conditions, but monthly fees will significantly decrease savings. 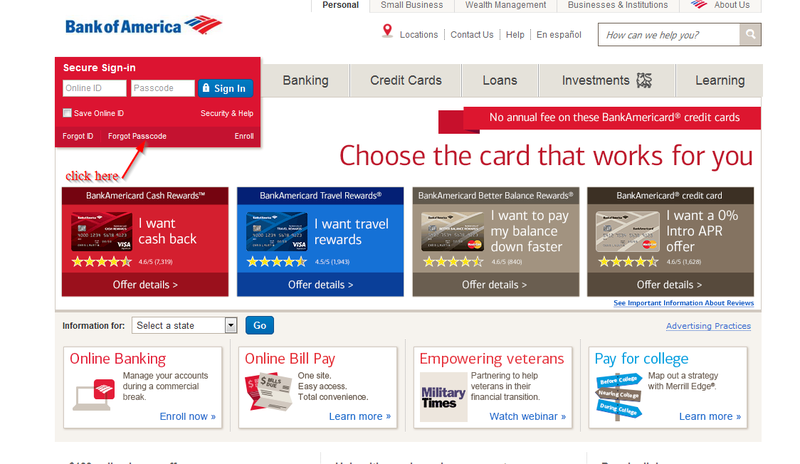 Bank of America is currently offering low interest rates and has fees that other banks don’t charge. A range of checking accounts: The bank has two personal checking accounts: Interest checking and Core Checking. These accounts offer free online banking and mobile banking and free bill pay. Both accounts have debits cards and have Total Security Package which basically includes zero dollars Liability Guarantee and fraud monitoring. Aside from that, customers can add photos on their card to help find it whenever it is lost or stolen. Account fees: The bank created uproar a few years ago when it proposed a monthly fee of $5 on all debit card users who don’t have a mortgage, $20,000 in total balances or a Merrill Lynch brokerage account. The backlash from the public was so severe that the bank had to forego the idea. Slow service: Sometimes, the size of Bank of America can be a drawback. Many customers have registered complains that they have to wait for too long. Another complain that has been reported is long teller lines. Poor performance: Like many other big banks, Bank of America is under financial pressure. In a study that was conducted by Forbes to measure 100 banks in areas such as capital adequacy, profitability and asset quality. Forbes ranked the financial health of banks from the healthiest to the least healthy. Bank of America ranked No. 90 in 2017. Lack of responsiveness: Mortgage customers have complained that it is difficult for Bank of America to solve Mortgage problems through the bank and the bank usually doesn’t respond in time. As you can see, Bank of America has its advantages and disadvantages inherent to its role as one of the largest banks in the United States. If more locations, online security, and convenience are your priority, then Bank of America is the right choice for you. On the other hand, if you are looking for free savings or checking and financial strength, then you will want to look for another bank.